It’s no secret that I think people in the solid waste and recycling business are really in the local government business (background here, here, and here). If industry members are trying to sort through the impact of China’s National Sword policy as well as broader recycling contamination issues, they’d better be paying attention to what local governments are doing. China’s decision to restrict the range of recyclables it will take from the U.S., and the resulting emphasis on contamination in the recycling stream, raises some difficult political issues for local officials. Difficult political issues result in diverging and somewhat uncertain outcomes, which in turn require the industry’s close attention. At its core, China’s decision to prevent import of many types of recyclable materials presents a resources problem for recyclers and local government. The materials were going to China because China offered the best price for them. Now that the Chinese market is available, the next best markets, if they exist at all, pay considerably less. So, material that formerly produced a profit or a small loss for recyclers now produces a bigger loss. Presented with this conundrum, recyclers and local governments have a few choices, at least in the short run: (1) allow formerly recyclable material to go to the landfill; (2) force haulers to take a loss on recyclables, if this is allowed in the contract or franchise ordinance; (3) allow haulers to charge producers of recyclable material more to recycle; (4) subsidize recycling from with general fund resources or other sources; or (5) remove contaminants from the recycling stream. Note that this assumes, at least in the short run, materials cannot be made sufficiently clean to ship to China. For many local officials, this presents a difficult choice. In many parts of the country, recycling has become part of the daily routine for residents and businesses alike. In places like Oregon (where I live), the idea that formerly recyclable material is being sent to the landfill would not settle well, but that is exactly what the state has allowed haulers to do. On the other hand, local government budgets usually don’t have hundreds of thousands or millions of dollars lying around to subsidize recycling. Those funds are usually long-ago obligated for things like public safety, street maintenance and other activities. While local governments may be able to fund recycling for a short period of time, most will be reluctant to do so long-term. Finally, hiking rates on residents can be tricky too, for probably obvious reasons. When faced with these challenges, we have seen local governments react in significantly different ways, highlighting the extremely localized nature of recycling policy. Here’s how Sacramento County, California, Twin Falls, Idaho and Boise, Idaho dealt with problems related to recycling contamination in very different ways. Sacramento County chose to spend around $220,000 of existing funds to stand up an education program in an effort to reduce contamination and avoid taking material to the landfill. The Twin Falls, Idaho City Council approved an agreement with hauler PSI Environmental Systems, to split the cost of recycling if the cost to recycle is below $100 per ton. 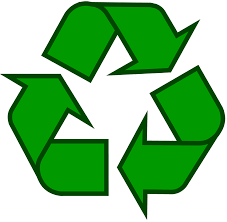 If the cost to recycle is more than $100 per ton, PSI is permitted to dispose of the material in the landfill. In order to fund its share of recycling costs, the city is increasing residents’ utility bills by 53 cents. Finally, Boise is trying to reduce contamination by giving residents an orange bag into which they can put non-recyclable plastics, which formerly contaminated the recyclable plastic stream. Those plastics will ultimately be shipped to Salt Lake City and turned into diesel fuel. Boise The program is funded, at least in part, by a grant from Hefty Energy Bag. As can be seen from the examples above, the disruption in the recycling market plus the localized nature of recycling policy is resulting in significantly different approaches to recycling contamination. This fact reinforces the need for the industry to shape its approach to match the politics in place in each jurisdiction. That means understanding the city councilors, county commissioners and special district board members who will make decisions that are critical to your business, and serving them well. Jeff Eager is the founder and CEO of Waste Alert, a local government monitoring service for solid waste and recycling companies. Jeff is also an attorney specializing in solid waste and local government issues, and he’s also the former mayor of Bend, Oregon.